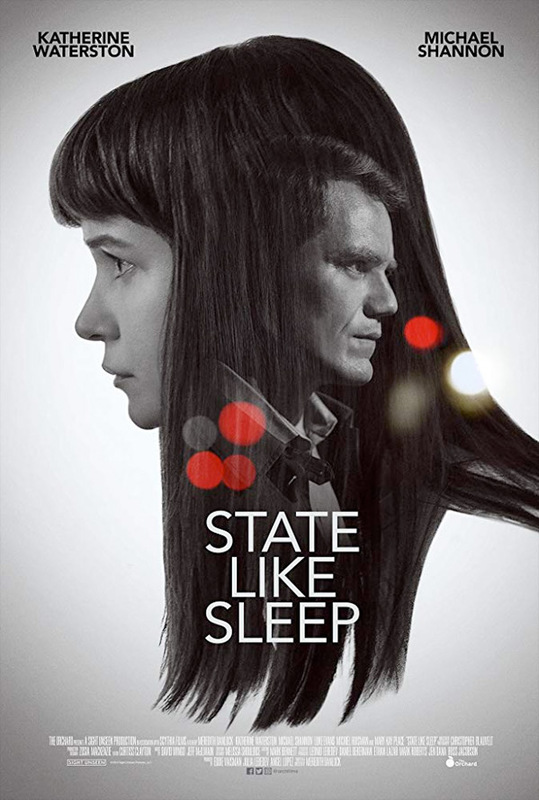 "Funny - peel back a layer, and no one's where the seem to be…" The Orchard has debuted an official trailer for an indie psychological thriller film titled State Like Sleep, which first premiered at the Tribeca Film Festival earlier this year. The dark, moody, mysterious drama is about a woman named Katherine, played by the very talented Katherine Waterston, who is still struggling to grapple with her husband's surprising death a year before. After a phone call, she goes out to try and figure out what really happened to him. The full cast includes Michael Shannon, Luke Evans, Mary Kay Place, Mark O'Brien, Rachel Wilson, and Bo Martyn. There's a lot of weird, fascinating, peculiar footage in this trailer - hard to make sense of it, but it's certainly appealing. I'm surprised we haven't heard much about this film before today. Have a look. One year after her husband's (Michiel Huisman) untimely death, a young widow (Katherine Waterston) receives an unsettling phone call that forces her to revisit the past. State Like Sleep is written and directed by up-and-coming filmmaker Meredith Danluck, making her second feature after directing an ambitious four-screen film titled North of South, West of East previously; she has also directed the documentaries Garbage Island, The Ride, and Art Hard; plus a number of a short films. This first premiered at the Tribeca Film Festival earlier this year. The Orchard will release Danluck's State Like Sleep in select theaters starting January 4th, 2019, plus on VOD starting January 1st to kick off the New Year. Anyone want to see this?